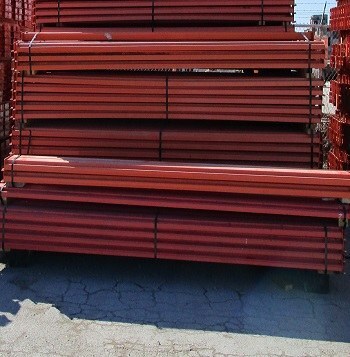 Used pallet rack teardrop beam for use with new or used pallet rack teardrop uprights. Used beams are equal in structural integrity to new beams. Used beams may have some scratches, chips or stickers applied. The used beams you receive may slightly differ from the pictures provided.